Authentic and humble with friendly character, Sir Tobyâ€™s makes for a cosy abode away from home. 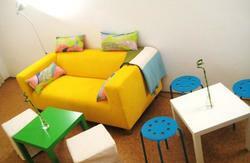 With small dorms, big dorms, private rooms and twin rooms, find a bit of something for everyone. Each room is unique and comfortably fitted with crisp linens, big fluffy pillows and vintage charm. 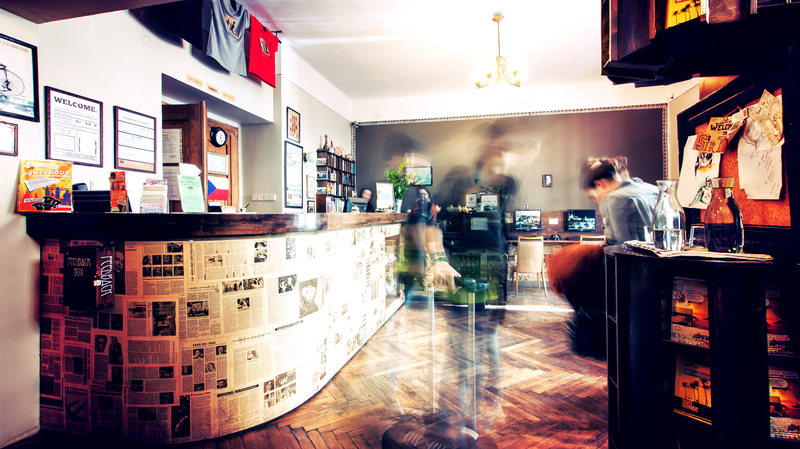 Sir Tobyâ€™s is nestled in the eclectic Holesovice quarter of Prague, known for great museums, parks, clubs and markets. A haven for local discoveries, our neighbourhood is ideal for the traveler who seeks a dose of authenticity and adventure. Prague's historical center is easily accessible via the public transportation system with the tram just a few blocks from our doorstep. For those whose boots are up for it, walking is also possible. When not out exploring the town, make yourself at home in our inviting spaces. With a brick cellar pub and social happenings like beer tasting, trivia and crepe making, a kitchen for cooking, board games for playing, books for reading and plenty of nooks and crannies to converse merrily, find many activities that will strike your fancy. And when the weather cooperates, Sir Tobyâ€™s garden BBQs are a guest favourite! Our staff is looking forward to meeting you and dotting your maps with all of Pragueâ€™s best to-dos from the historical sights of Prague (Old Town Square, the Charles Bridge and the Prague Castle) to the gems in our neighbourhood. Theyâ€™re always around to help, day and night. Sir Tobyâ€™s also offers laundry facilities, secure luggage room, safety deposit boxes, free spices and tea in the guest kitchen, bicycle rentals, 24 hour reception and no lock-out or curfew. Sir Tobyâ€™s is a non-smoking building. Accommodation notes: Our 4-bed rooms contain 1 double and 2 single beds. 5 bed dorms have 5 or 6 single beds and the 10-bed dorms have 8, 9, or 10 beds. Please also read our â€œThings to Noteâ€ below before booking. Buy a 24 CZK ticket. Take metro red line C in the direction of Letnany and get off at Vltavska (second stop). Exit via the main staircase to the street level. Once on the street level take any tram that departs to your left (with the metro building to your back). Get off at Delnicka tram stop (second stop). Walk towards the intersection and turn left onto Delnicka Street. The hostel will be about 100m down on the left-hand side, past the pizzeria. The address is Delnicka 24. Buy a 32 CZK ticket. Take bus #119 to the last stop, which is called Dejvicka. Enter the metro at the bus drop-off. Take the metro in the direction of Depo Hostivar and get off at Malostranska (second stop). Exit the station and once youâ€™re on street level, cross the tram line outside the station. You can take tram 12 from here in the direction of Palmovka. Get off at Delnicka tram stop (seventh stop) and walk to the traffic lights. Turn right at the corner onto Delnicka Street. The hostel will be about 100m down on the left-hand side. The address is Delnicka 24. Alternately, take the 'AE' airport express bus (60 CZK to driver) to Hlavni Nadrazi (last stop). Then follow the description above from the main train station. Personal airport pickup is available on request. You must email us ahead of time to request this service. 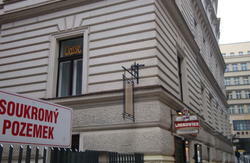 The rate is 550CZK for 1-4 persons or 950CZK for 5-8 persons. Our contact information is in your booking confirmation email. If you come by car please, let us know. There is restricted parking on our street and your car can get towed. We have parking available on request. If you will arrive after midnight, please contact us for directions using night transportation. Our contact information is in your booking confirmation email.